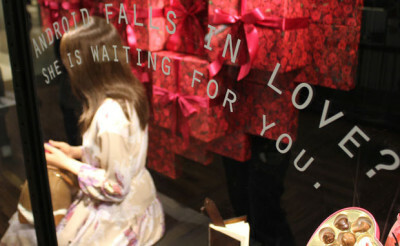 Android Interacts With Consumers, New Twist on Interactive Display in a Modern Store Design in Japan. 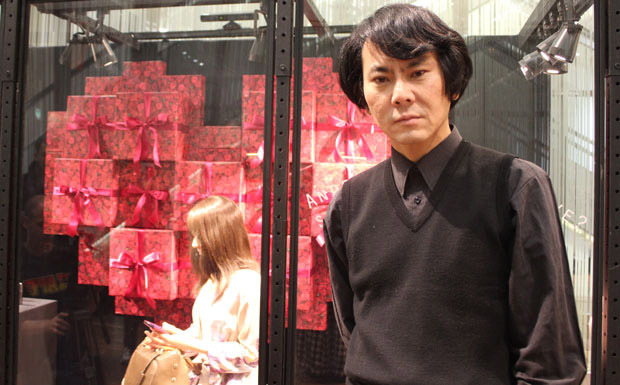 Tokyo department store Takashimaya, in collaboration with Dr Hiroshi Ishiguro of Osaka University, have taken advertising to a new level in a stunning demonstration of the visual merchandising opportunities and technology that have become available in 2014. Robots have always been a symbol associated with the future and technological development, but the clunky, metal machines with flashing bulbs for eyes who speak in unintelligible series of beeps are a far cry from the reality of what now resides in a store’s window display of Takashimaya. Dr. Ishiguro has been developing android robots for years, and the one that he has given to Takashimaya as a part of their Valentine’s Day promotion is so similar to a human woman that passerby are stopping to witness and interact with her in both awe and disbelief. The robot is capable of over sixty facial expressions and four emotional states, and does everything from make eye contact and smile (thanks to a Kinnect system with facial recognition software) to yawn as she awaits for customers to approach her. The presence of the robotic model – who by general human standards is beautiful has costumers flocking in hordes to the window display with their iPhones and cameras at the ready to capture the realistic movements of the android. So realistic, in fact, that many have been overheard asking one another whether the robot is actually a real woman. Dr. Isiguro sees android models as a new and interactive future for visual merchandising, much more eye catching and effective to businesses than traditional mannequin window displays. he hopes to take his robots to New York and says he could see a future for them in luxury store windows such as the boutiques on Fifth Avenue. Via www.shifteast.com See more images and a video HERE.